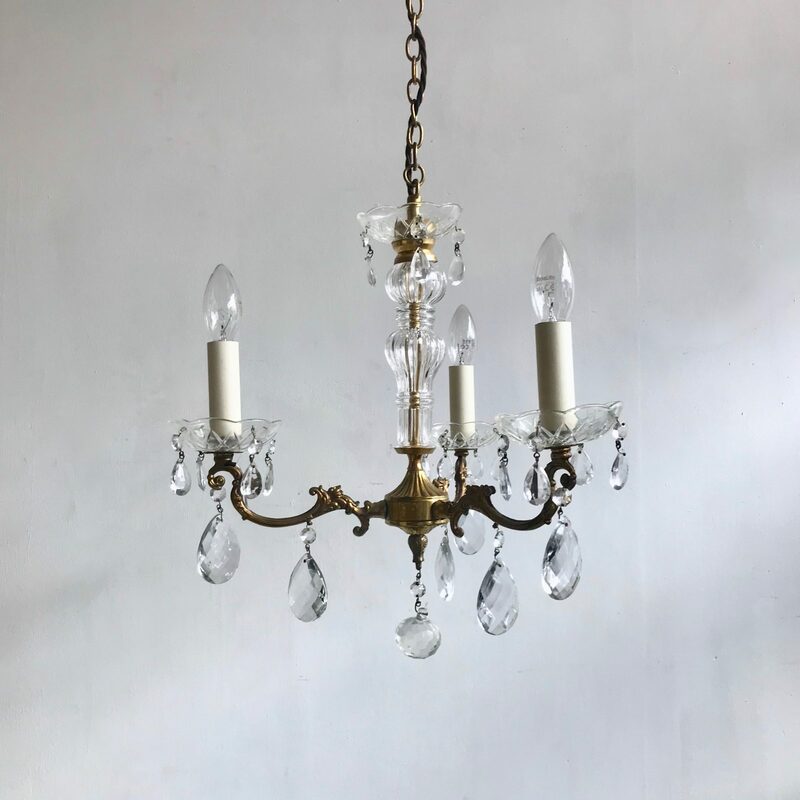 Delicate three arm brass chandelier with glass bobeche pans and small glass pears. Currently on show at Passive House, Chorlton. Please contact us if you would like to purchase.